I've been toying with the idea of getting the Souk Souk Little Green Beauty Box for a good few months now so this month I decided to take the plunge and treat myself just in time for Christmas! Incase you haven't heard of Souk Souk before, they provide subscription (and one-off) green beauty boxes featuring a selection of natural, organic and cruelty-free products. 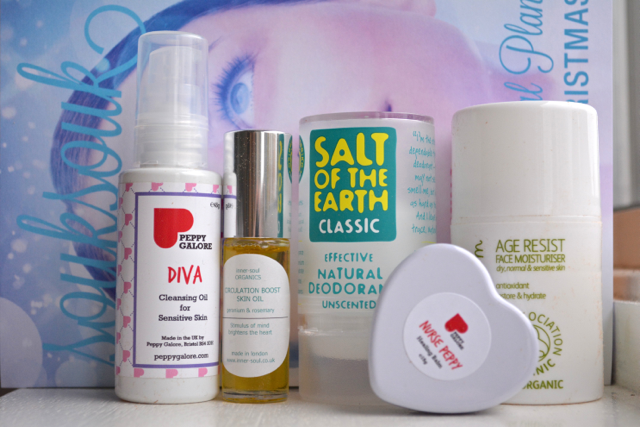 Each monthly Little Green Beauty Box contains Souk Souk's Little Green Magazine and 5 green beauty products. My very first box arrived today and I love it! I've never tried any of the brands or products before so I'm super thrilled to have some new things to try! The box costs £12.00 plus £2.95 P&P and the contents of this box are worth an impressive £35.61 - pretty amazing value for money don't you think? 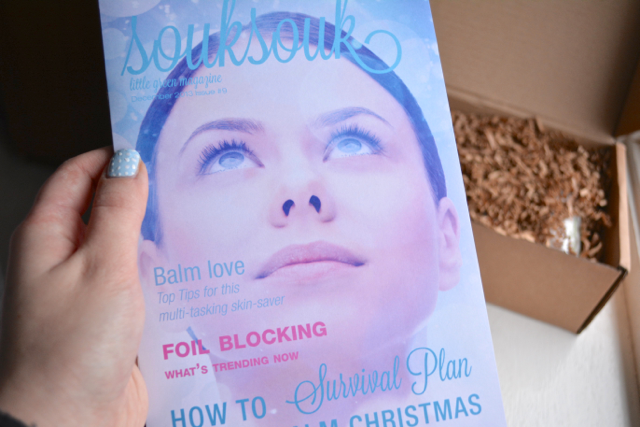 I couldn't be happier with my first SoukSouk box and I can't wait to see what is in store for January! Are you subscribed to the SoukSouk beauty box? What do you think of this month's box? What a great idea. In my small town it's hard to find organic and natural products!